TECNativeMap is a commercial Firemonkey map component which works on Windows, OSX, IOS, and Android. It does not use a web browser like the Delphi example does so it is actually native mapping for the two mobile platforms. 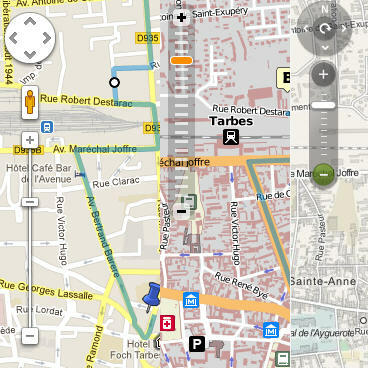 It supports routes, localise, pois, velib, layers, and a minimap. You can choose to pull map data from Openstreetmap, Mapquest, Cloudmade, Opencyclemap, and OPNV. Additionally, because it is native it has the option to cache the map tiles locally and work without internet access. Check out TECNativeMap for Firemonkey!